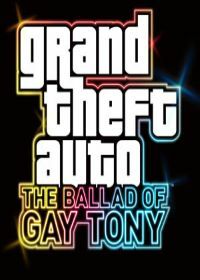 Grand Theft Auto - The Ballad of Gay Tony was published in 2009 is an extension of your GTA IV playing some of the GTA 4 - mission known Tony Prince. This second extension (downloadable content - dlc) is available for XBOX 360 Exclusive. All Cheats for Grand Theft Auto 4 are still selected on the phone. There are also some new cheat codes for example for an armored car or a Ford GT 40 (Bullet GT). So here are the cheats. This cheat code for Xbox 360 Grand Theft Auto - The Ballad of Gay Tony can it pops out the passersby. With this new powerful weapons cheat to get better following their arsenal: Knife, Pistol. 44, Explosive Shotgun, Assault, SMG, MG Advanced,..
For so often missing with this parachute you can cheat in GTA The Ballad of Tony Gay call your own. Who on the streets of Liberty City in The Ballad of Gay Tony on X-BOX 360 may not be enough to make sure this little racing boat and the wat.. This cheat creates the Akuma bike (motorcycle) in front of you. One of the new cheat codes for GTA - The Ballad of Gay Tony, this sleek design for a sports car inspired by a Ford GT. The AH-6 Little Bird - Buzzard´s helicopter is a helicopter with a machine gun and additionally equipped with missiles. Just give in this cheat code for GTA ..